Blooming ‘eck! Bluebells are about to start popping up in their thousands across Kent. 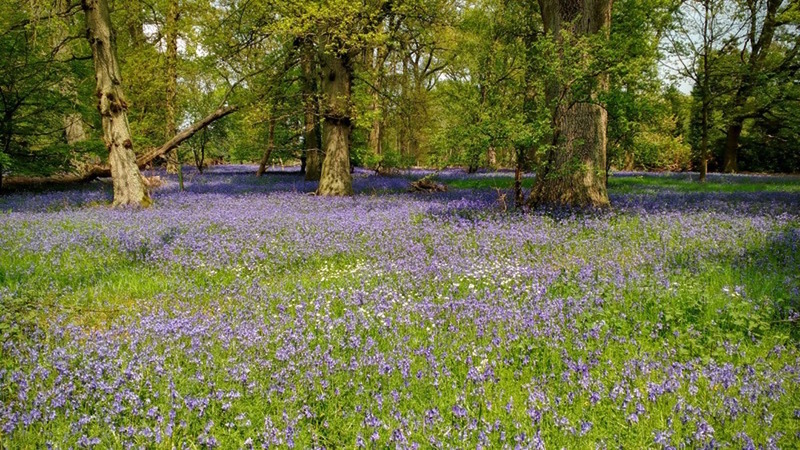 Here’s some of the best bluebells walks, plus our pick of nearby pubs for a cheeky pitstop. 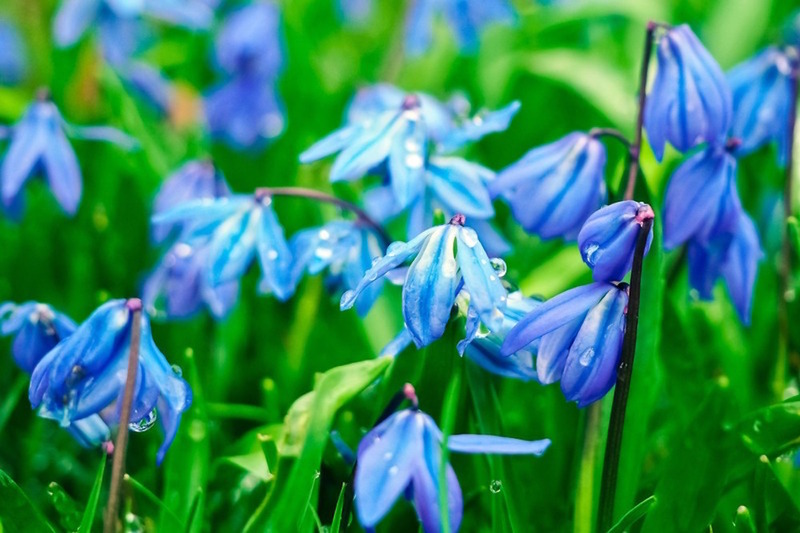 We’re so lucky to have the most incredible number of bluebell landscapes here in Kent, so we’ve drawn up this list as a prompt really – as those blue beauties don’t last long. Go and enjoy the view of these carpets of colour while you can – and if you think there is a horrific omission, a crime against nature no less, let me know by adding a comment so everyone can benefit from your suggestion! Eat After: Hever itself offers a decent selection of eateries from light bites and fine dining – but if you want to head to a local pub there’s King Henry VIII just opposite Hever itself, or a 2 minute drive away is The Wheatsheaf at Bough Beech. Or one of our personal faves, The Leicester Arms Hotel in near by village, Penshurst. Eat after: There’s a few good pubs dotted around the Benenden and Rolvenden area, but you can’t go wrong with The Three Chimneys if you’re after a pub with food that’s as awesome as its setting. It’s a 15 minute drive from Hole Park and a popular dining pub with wonderful pockets of outside space – like a spacious beer garden with rural views or a sun-trap terrace. The Walk: With panoramic views of the Weald, Mariners Hill near Edenbridge is a fantastic spot to enjoy a good walk or just admire the surrounding countryside. Enjoy short circular strolls or join the Greensand Way, which runs along the hill’s northern boundary. Beautiful Hever Castle or Chartwell (home of Sir Winston Churchill) are close by if you’re having one of your culture vulture days – or you just want to take the mudlets to a great outdoor play area – they’re building a brand new one at Hever. Eat after: Head over to The Wheatsheaf at Bough Beech an age-old watering hole (dates back to the 14th century – fact fans) offering modern British dishes. With the gorgeous combination of Georgian high ceilings and Tudor beams the dining space evokes a by-gone era. Nab one of the comfortable sofas perched next to crackling open fires or prop yourself up at the striking exposed-beam bar. Eat after: If it’s more than a tea you’re after head to The Milk House only 5 minutes drive away back into Sissinghurst. This stylish pub, right in the middle of the picturesque village, serves excellent food, including wood-fired pizzas and an outside bar in the summer. There’s a great garden space in which to off-load the Mudlets. And it won our Muddy Award for Best Boutique Stay, should you fancy a mini break away. Eat after: Try the Woolpack, Warehorne, a pretty part-weatherboarded 16th century dining pub now under same ownership as the Five Bells at Brabourne and the Globe in Rye; interesting revamped interior with beams, inglenook fire and lots of quirky touches, local ales and well liked food including daily specials, children and dogs welcome, five stylish bedrooms too should you fancy a stay. The Walk: Whether your furry friend wants a gentle walk through sheltered woodland or a more strenuous climb with fantastic views, they have some great way-marked routes on Ightham’s 500-acre estate. Eat after: A short drive away Plaxtol has a decent country pub in the Papermaker’s Arms or 5 mins up the road at Ivy Hatch you’ll find The Plough pub and café.